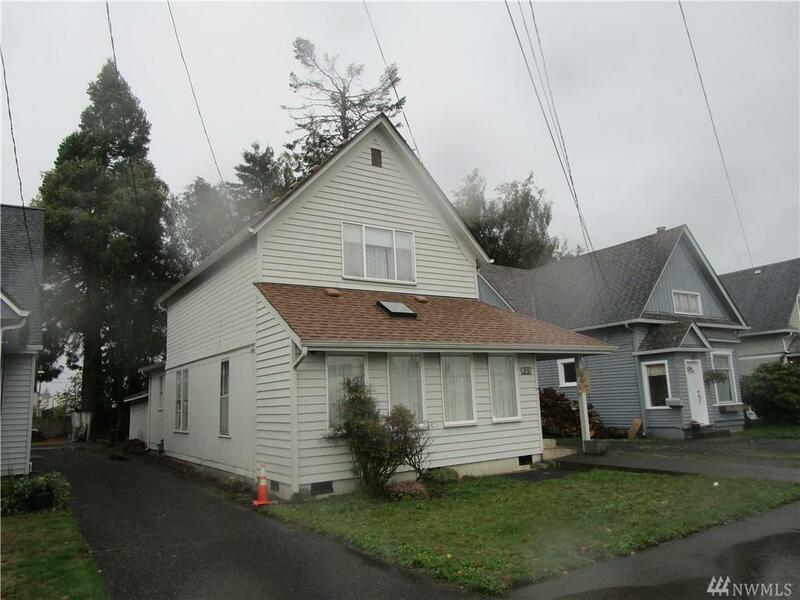 Attractive, well maintained 3 bedroom, 1 bath home in Hoquiam across from a community park. Main floor has entry, living, dining, kitchen, full bath & family room. All rooms are spacious with a convenient floor plan. 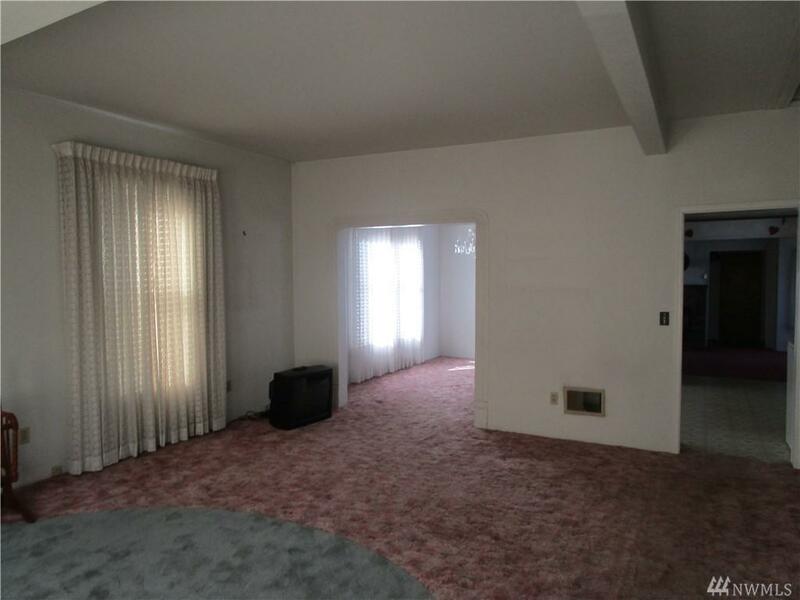 Carpeted bedrooms are located upstairs. Kitchen has wood cabinets with lots of storage. A gas furnace & free standing unit heat the home. 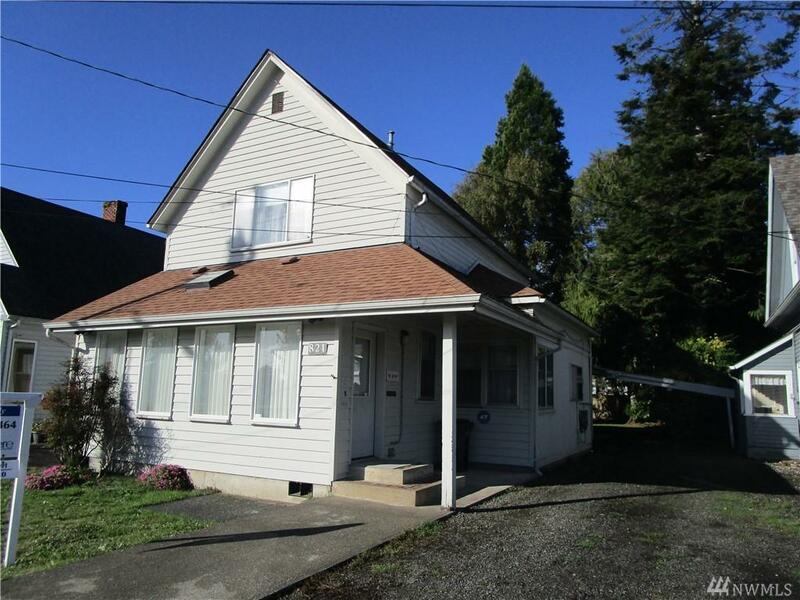 Included are: Dbl pain & storm windows, newer roof, skylight, covered patio and some built ins. Attached carport & off-street parking.